One of the central features of the Tax Cuts and Jobs Act (TCJA) passed in December 2017 is the reformation of the U.S. system for taxation of international taxpayers and their activities. In so doing, Congress created a new category of taxable income: Global Intangible Low Taxed Income (affectionately known in the tax practitioner community as “GILTI”, pronounced “guilty”). The title of the tax, though, is misleading. While it appears to target intangible income held in low tax foreign jurisdictions, it may actually apply to any type of income earned in many jurisdictions. The GILTI tax primarily affects shareholders of CFCs with low levels of depreciable assets as compared to their income. This can include technology companies, companies with a low adjusted asset base, and service providers with significant intangible assets and low levels of fixed and depreciable assets. Even though GILTI adds to the punitive regime of Subpart F income, planning opportunities can minimize its impact. the amount of interest expense taken into account in determining its net CFC tested income for the year (but only to the extent that the interest expense exceeds the interest income included in CFC tested income). Certain foreign oil and gas income. If the allocable deductions exceed the CFC’s gross income, the CFC has a “tested loss.” If the CFC holds an interest in a partnership, net tested income includes the CFC’s distributive share of the partnership’s current year income or loss. The U.S. Shareholder’s “net CFC tested income” is the amount by which the aggregate “tested income” of all its CFCs exceeds the aggregate “tested loss” of all its CFCs. If the U.S. Shareholder does not wholly own the CFCs, the amount of the shareholder’s “net CFC tested income” is determined by taking into account only their pro rata share. Step 2 – Calculating the Net Deemed Tangible Income Return (net DTIR): A shareholder’s “net DTIR” is 10% of the adjusted tax basis of the Qualified Business Asset Investment (QBAI) less an interest expense amount. QBAI is the CFC’s quarterly average aggregate adjusted bases of specified tangible property. Specified tangible property generally includes any tangible property used in the production of tested income,2 but must be used in a trade or business of the CFC and must be depreciable under U.S. tax rules. In addition, if the CFC holds an interest in a partnership at the end of the tax year, the CFC must include its distributive share of the aggregate of the partnership’s adjusted basis in tangible property used in the partnership’s trade or business. The interest expense component of net DTIR is interest expense included in the calculation of tested income, but only to the extent interest income attributable to that expense is not factored into the tested income calculation. Step 3 – Calculating GILTI: A U.S. shareholder computes GILTI in the aggregate for all its CFCs. Therefore, companies with losses can offset companies with income. As an incentive to keep intangible assets in the states, U.S. corporations are now entitled to a deduction equal to their “Foreign-Derived Intangible Income” (also known as FDII). 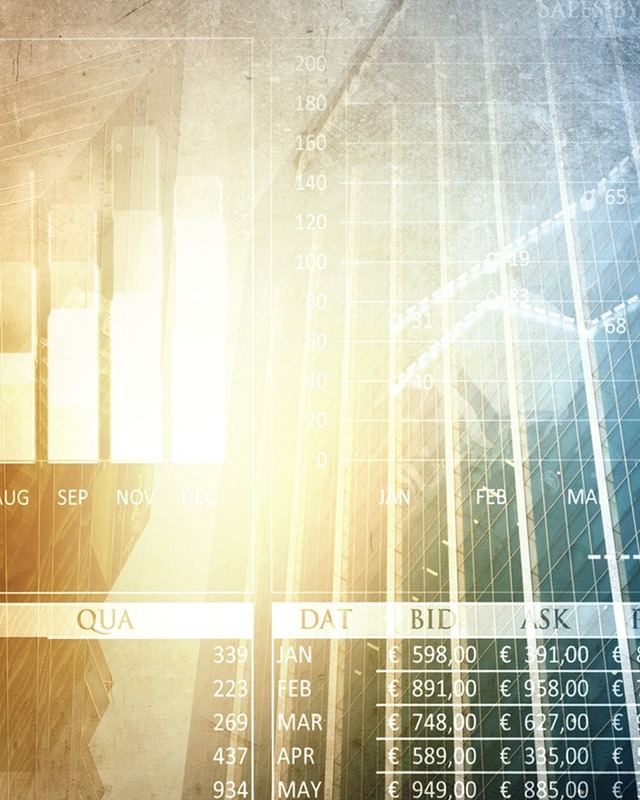 FDII equals the portion of a U.S. corporation’s income attributable to its intangible income – determined on a formulaic basis – derived from serving foreign markets. This means income earned by the domestic corporation in connection with property or service sold to any unrelated person who is not a U.S. person to the extent that property or service is for foreign use, consumption or disposition. For this purpose, “sold” includes any lease, license, exchange, or other disposition. For tax years beginning after December 31, 2025, the deduction for FDII is reduced to 21.875% and the GILTI deduction is reduced to 37.5%. The GILTI and FDII deduction is limited to taxable income. To the extent that total GILTI and FDII exceeds taxable income, FDII is first reduced by the proportion of the excess of taxable income equal to the proportion of FDII to total GILTI and FDII, and the remainder reduces GILTI. A domestic corporation has $3,000 of FDII, $2,000 of GILTI, and total other taxable income of $4,000. The sum of the corporation’s FDII and GILTI amounts is $5,000—exceeding total other taxable income by $1,000. The amount of FDII for which a deduction is allowed is reduced by $600 ($1,000 x $3,000/$5,000) to $2,400. The amount of GILTI for which a deduction is allowed is reduced by the remainder of the excess, $400, to $1,600. Applying the statutory rates, the corporation’s GILTI and FDII deduction equals $1,700, the sum of (1) $900 ($2,400 x 37.5%) and (2) $800 ($1,600 x 50%). U.S. individuals and pass-through entities are at a significant disadvantage because they are not entitled to the FDII or GILTI deductions or foreign tax credits and thus can be taxed on GILTI income up to a maximum 37% federal tax rate. Without factoring in foreign taxes, and with the ability to deduct 50% of GILTI, C corporation shareholders effective tax rate on GILTI would be 10.5% on this income (21% corporate tax rate times 50%). Considering some of the following planning options could potentially reduce the impact of GILTI. Creating Parity between Corporate Taxation and Individual Taxation – the elective Section 962 allows individuals investing in CFCs the same tax treatment they would have had if they had invested through domestic corporations. By making an election under Section 962, individual shareholders, including shareholders who own CFCs through trusts, partnerships and S corporations, are treated as corporations eligible to claim the foreign tax credits associated with GILTI inclusions. However, similar to corporations, individuals making this election are subject to a second tax on subsequent distributions of corporate earnings. It is unclear whether this election entitles individuals to claim the deduction described above on GILTI income. Holding CFC’s Through a Domestic C Corporation – individual shareholders or pass-through entities may want to hold their CFC’s through a C corporation. This will allow taxpayers to claim credits and deductions associated with GILTI inclusions that they would not ordinarily be permitted to take. Taxpayers should take care, however, to avoid the personal holding company rules that could potentially subject this strategy to additional US tax. Moreover, actual shareholder distributions of earnings will draw a second tax on the dividend itself. Check the Box – the GILTI tax only applies to income earned by foreign entities considered corporations under U.S. tax rules. U.S. taxpayers can elect to treat eligible foreign entities as pass-through entities or disregarded entities for U.S. tax purposes. This strategy, however, requires careful planning to avoid any unforeseen negative consequences and should not be undertaken without input from a knowledgeable advisor. Consider an Asset Purchase – when acquiring another foreign corporation, a CFC may consider purchasing an asset or electing a step-up in the basis of assets on stock acquisitions, to increase the tax basis of foreign tangible depreciable assets. State Taxation – Following to the recent enactment of this law, state legislatures and/or taxing authorities have yet to act on how their individual state will tax the GILTI income and if they will accept the GILTI or FDII deductions. States currently have differing treatment of Subpart F Income and deemed or actual dividends from CFCs, and it is likely that the impact of the GILTI tax will have diverse outcomes. It is clear that the GILTI is another tax provision that is virtually impossible for taxpayers to understand and apply without guidance from an informed tax professional. Berdon advisors are constantly analyzing evolving law and its interpretation and are ready to assist you with the GLITI or other aspects of the TCJA. If you have questions, please contact Lisa Goldman 212.699.8808 | lgoldman@BERDONLLP.com or reach out to your Berdon advisor. 2 The calculation excludes assets generating tested losses. 3 This example ignores, for purposes of simplicity, any “gross up” for indirect foreign taxes attributable to the GILTI amount. 4 Foreign taxes above 13.125% theoretically eliminate US liability on GILTI (10.5%/80%), but taxes above this percentage may be lost because of the no carryforward/carryback rule.